OAKVILLE RANGERS TAKE THEIR PLAYER DEVELOPMENT TO A NEW LEVEL FOR THE 2018-2019 SEASON! The ORHC is constantly striving to be a best in class hockey club and have gone to great lengths to continuously expand and develop its programs. As the largest Minor Hockey Club in North America, we recognise that the goal of our organization is not to put players in the NHL but rather to ensure a meaningful and enjoyable experience for every player who is enrolled in our programming. The central focus of the ORHC is for players to enjoy the game of hockey while developing a fundamental skills base in order to achieve their highest levels possible. With this focus in mind, the ORHC is pleased to announce the hiring of an in-house development team for the 2018-19 season. This team is made up of former professional players and certified experienced coaches who will be designing and implementing the on-ice component for our Jr. Timbit, IP, and Tyke programming. The ORHC has also launched an in-season hockey skills academy which will focus on individual skill development in a fun and supportive environment. 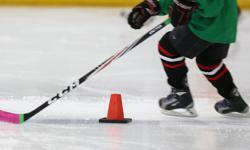 The instructors will employ a progressive teaching methodology covering skating, stick-handling, shooting and puck protection while incorporating immediate error detection and correction techniques. For more information on these programs and initiatives and to learn more about the ORHC Development team, please click on the buttons to the left. What is The Initiation Program?